Clearview Regional High School students Mia Shute and Jennifer Lee are studying, rehearsing scenarios and doing all they can to prepare for the international DECA event in Orlando, Fla.
After placing fifth overall in the state final competition, Mia Shute, right, and Jennifer Lee, left, are ready for the international competition in Orlando, Fla. (Bill Shute/Special to The Sun). 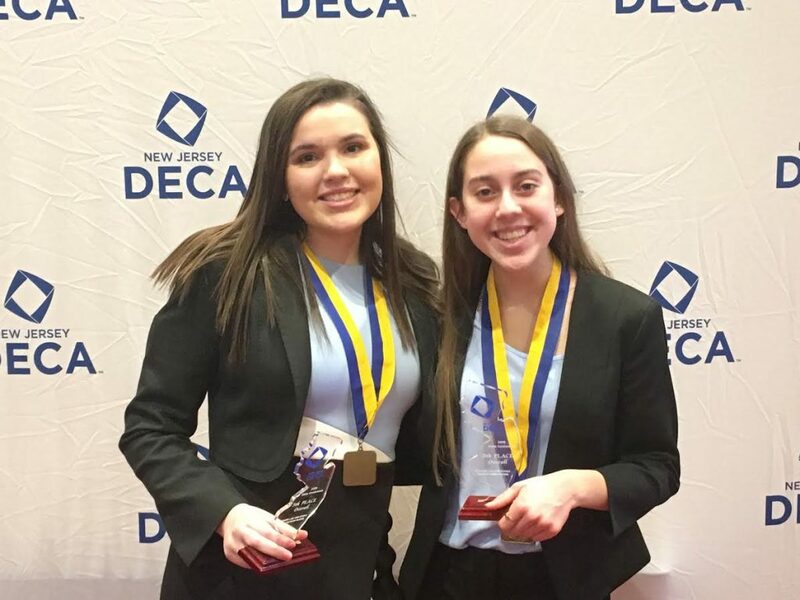 Clearview Regional High School students Mia Shute and Jennifer Lee will travel to Orlando, Fla., to participate in the international DECA Career Development Conference in late April after placing in the top five of the state finals. On March 6 in Atlantic City, Shute and Lee placed fifth overall in the state competition, and were in the top four for their role plays in the business law and ethics category (other categories included hospitality, marketing and sports management). 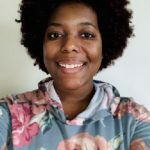 “You were given a lot of situations on the spot, and you had to build your presentation around it,” said Lee. Within the duo’s presentation, she added they had to come up with a solution and response to follow through with the scenario. They did not recall what their presentation was focused on. DECA is a nonprofit student organization that “prepares emerging leaders and entrepreneurs in marketing, finance, hospitality and management in high schools and colleges around the globe.” The organization has competitions for both high school and college students. The two 10th-grade students started, this year, at the regional state competition in Cherry Hill in January with 39 other Clearview students, and they were required to take a test, and then provide a presentation, solution and response to scenarios given to them by judges. As they’re preparing for the national DECA competition in Florida, the two said they’ve been practicing the possible scenarios they could be given by the judges, timing their answers, working on their communication style and studying for what they believe will be on their test. Shute added they have a generic format for a possible solution, plan, outline and resolution, but everything’s unknown to them until the day of the international competition where they’re asked to present in under 10 minutes. The two said they went to the national competition last year with a few classmates by presenting in the community service project portion of the competition, which also allowed for them to participate in a state leadership conference. Being the only two students from Clearview, the two hope to be able to set themselves apart from the rest of the students. “We’re excited and we’re practicing hard to represent the school well and hopefully win,” said Lee.